Sunday is the Sun’s worship day. It is very auspicious to keep fast of Sun on Sunday. The fast is beneficial for prosperity and financial benefits. Sunday fast is also beneficial to get rid of enemies. Every desire can be fulfilled through Sunday’s fast. Wake up before sunrise on Sunday. Wear clean clothes after bath. Keep Sun’s image at any auspicious place of the home. Worship lord Sun with fragrance, flower etc. Listen Sun’s story after worshiping. Also, do Aarti. Offer water to the Sun and eat pious food or fruits. However, do not have salt and oil. Offer water to the Sun next morning and then eat food. Do this fast for 1 or 5 years. It is beneficial to offer water to Sun on first sunlight. Wake up before sunrise and take bath. Feel water in copper urn and keep Rakatchadan, red flower and rice. Keep water in urn and put red bench in front of rising Son. Keep urn with both the hands and offer water when sun rises. Keep this mind that you have to see Sun and Sun rays through water. Do not afraid if water falls on leg. 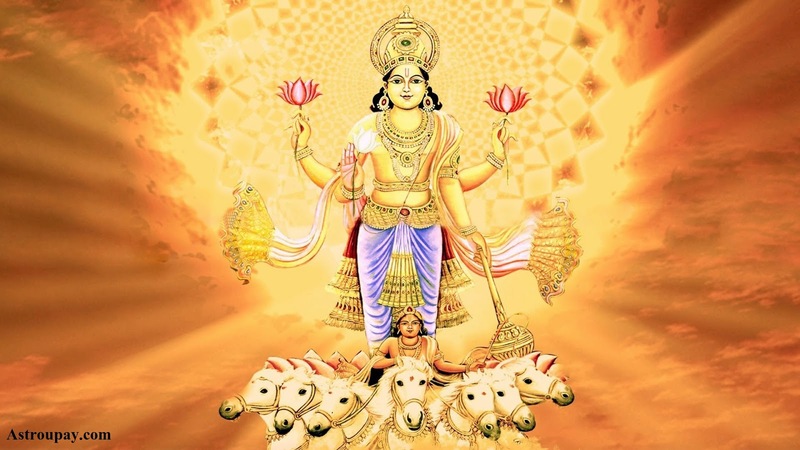 Chant “Om Aehi Surya Sahastrasaho Tejorashe Jatpate Anukampalye Mam Bhaktaya Grunadhy Divakar”, “Om Hrim Hrim Suryaya Sastrakirnaya Manovanchit Phal Dehi Dehi Swaha, Om Surya Namah, Om Dhruni Suryaya Namah”. Sunday fast is beneficial for mental and physical strength. Digestive system gets rest on fast. Body gets new energy and zeal after fast. Food digest easily in stomach and intestine works well during fast. One gets rid of intestine and digestive problem. Fast is good to get rid of mental disorders, accidents and bad thoughts. One can also do fast to get rid of sin. Fast is also known as self punishment. One cannot get bad thoughts during fast. A person becomes pious due to fast. Fast is effective for mental strength and self improvement. Sunday fast has special importance. Do not eat oily food on Sunday. Do not eat food after sunset. You should drink water, fruits, milk or milk products. You can also intake medicine. Do not eat betel leaf during fast. Do not sleep in afternoon. Also, follow Brahmcharya.